Clergy as detectives are both amusing and fascinating, having read F.H. Batacan’s Jesuit heroes Saenz and Lucero in Smaller and Smaller Circles. Batacan must have paid homage to Chesterton, but unlike the high-brow background of the former, Father Brown is a very low-key persona, and emerges a brilliant protagonist in the end. He is known in literary history to be humble and wise, distinguishing himself apart from the arrogance of just intellectual reasoning. His intuition is at fore in his cases, but his awareness of humanity’s evil ways are disclosed in the first short story of the book, ‘The Blue Cross’. 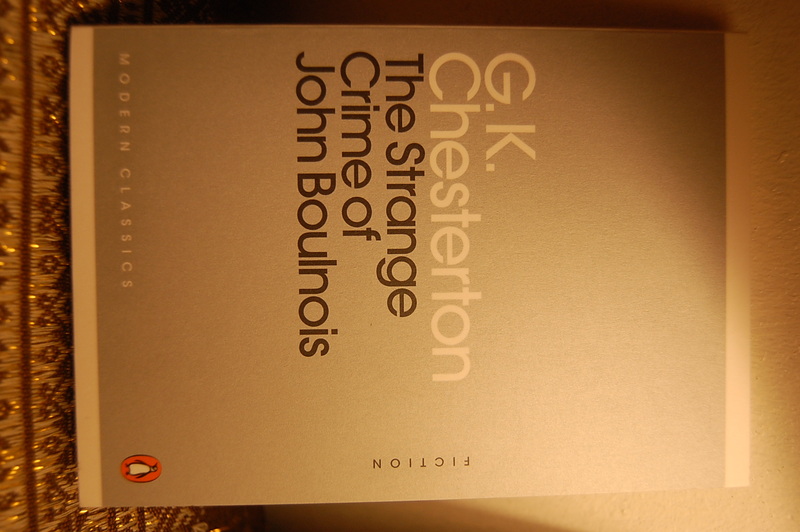 His detective skills are more muted in ‘The Strange Crime of John Boulnois,’ the second and last story, but his simple logic had led him to free the accused in an interesting conversation to close this mini modern classic. Wishing to find a complete digest of all Father Brown cases (Wikipedia says there are 52) soon because of this! God bless your good soul, Father Brown.